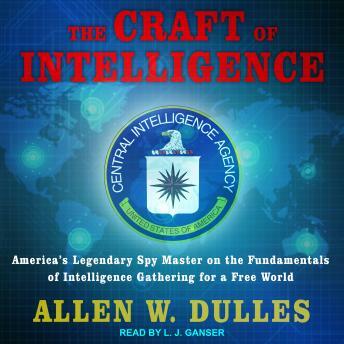 If the experts could point to any single book as a starting point for understanding the subject of intelligence from the late twentieth century to today, that single book would be Allen W. Dulles's The Craft of Intelligence. This classic of spycraft is based on Allen Dulles's incomparable experience as a diplomat, international lawyer, and America's premier intelligence officer. Dulles was a high-ranking officer of the CIA's predecessor-the Office of Strategic Services-and was present at the inception of the CIA, where he served eight of his ten years there as director. Here he sums up what he learned about intelligence from nearly a half-century of experience in foreign affairs.